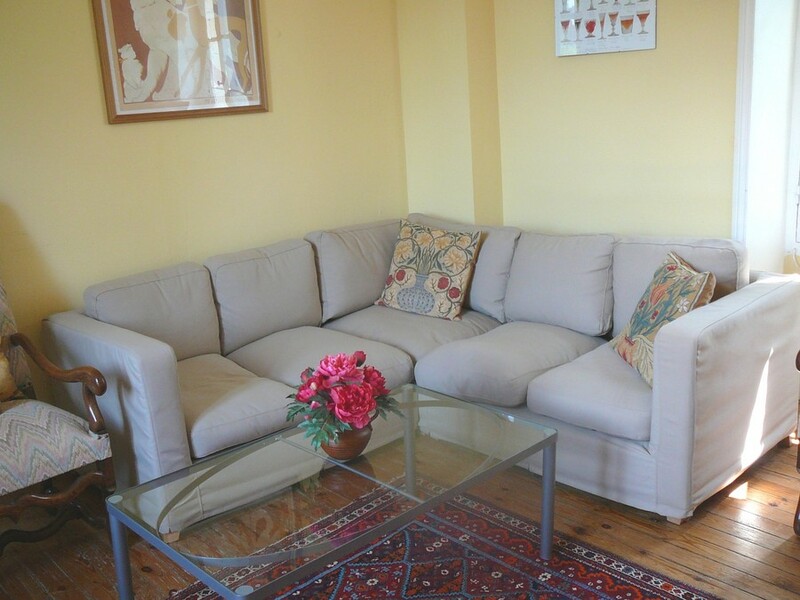 Detached, light and airy, lovingly restored to the highest standards to appeal to families and groups seeking relaxation, quality and convenience. 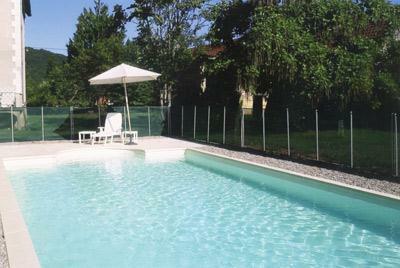 Set in shady garden with new, private, salt water, heated pool 10 x 5 m fenced with security gate. 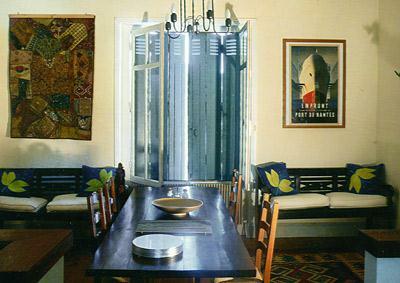 The whole house has beautiful pitch pine wooden floors, marble fireplaces in most rooms and Central Heating. The entrance hall has a sweeping wooden staircase curving up to the 1st floor. There is a downstairs WC off the hall. There is a 28 ft x 15 ft kitchen/diner/family room with French doors to terrace overlooking the pool. Quality cream units + island. 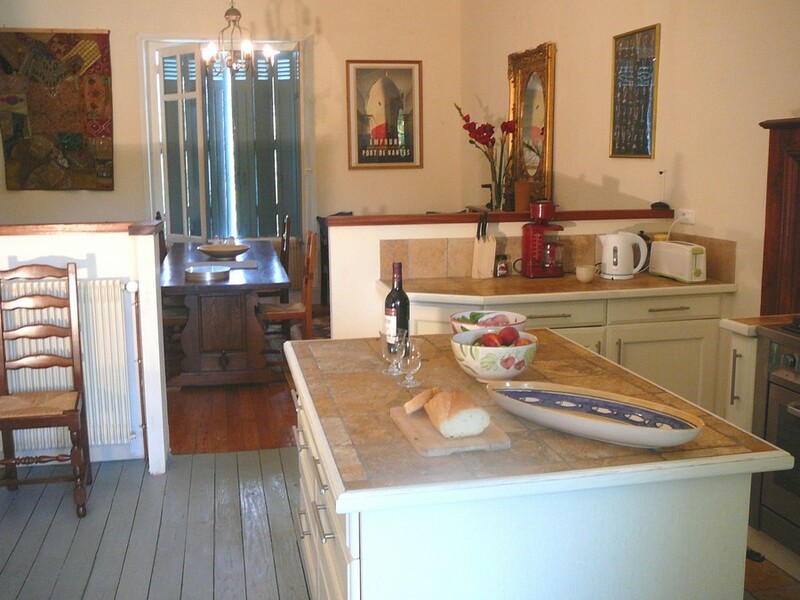 Limestone tiled surfaces, stainless steel range cooker, gas 5 ring hob, vast electric oven and grill. Dishwasher and American fridge/freezer. You can stroll down the pretty, winding lane with your picnic and bottle of wine to cool in the river. The children can paddle and play in the shallows with their fishing nets. 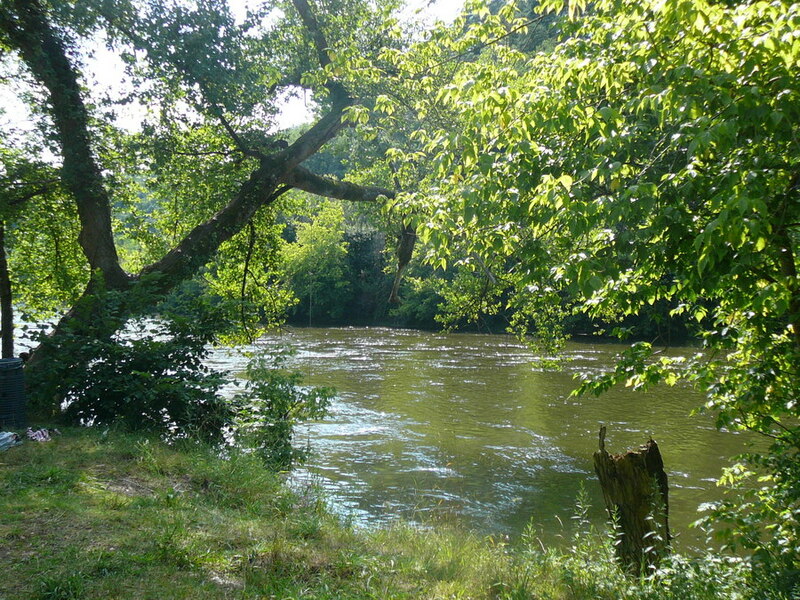 For more serious fisherman, get a permit from the shop and fish for trout or just to sit on the bank and enjoy the beauty and peace of this lovely river. Or sit on the terrace at the house overlooking the pool and watch the sun go down over the walnut orchards and distant hills. 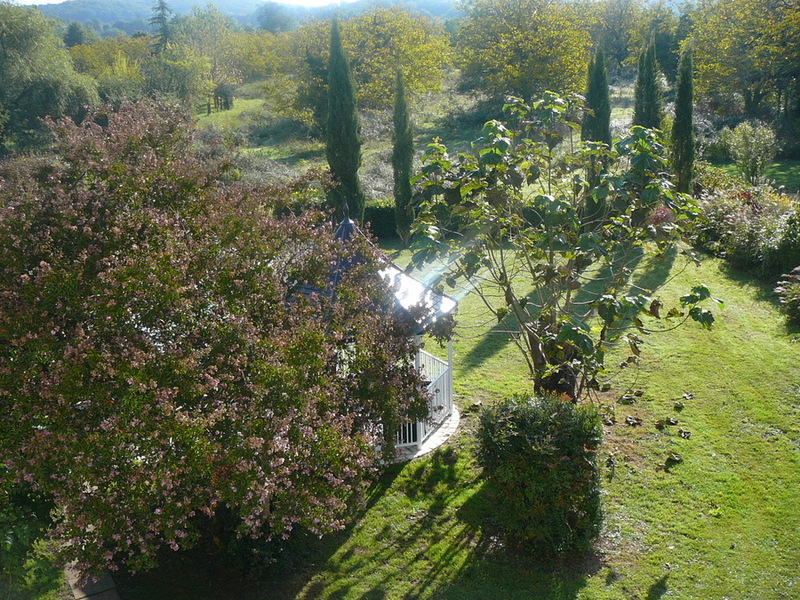 Three excellent restaurants in walking distance, one with terrace overlooking Dordogne River. Cafe serving delicious salads and other dishes under the walls of the medieval church. Boulangerie, butcher, grocer, pharmacy etc in easy walking distance. 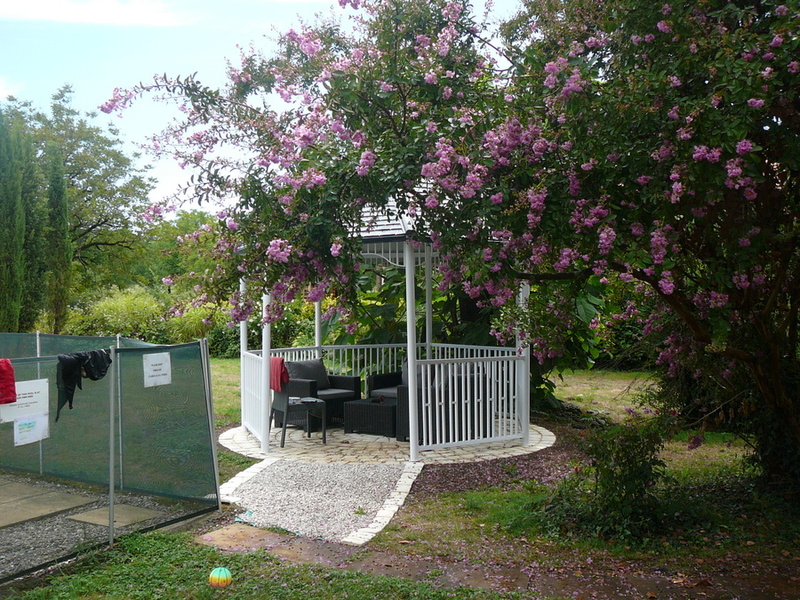 We have recently added a gazebo which provides a lovely shady sitting area by the pool, and a new heat pump for the pool itself. Meet the owner of this wonderful home exchagne in this IVHE podcast. 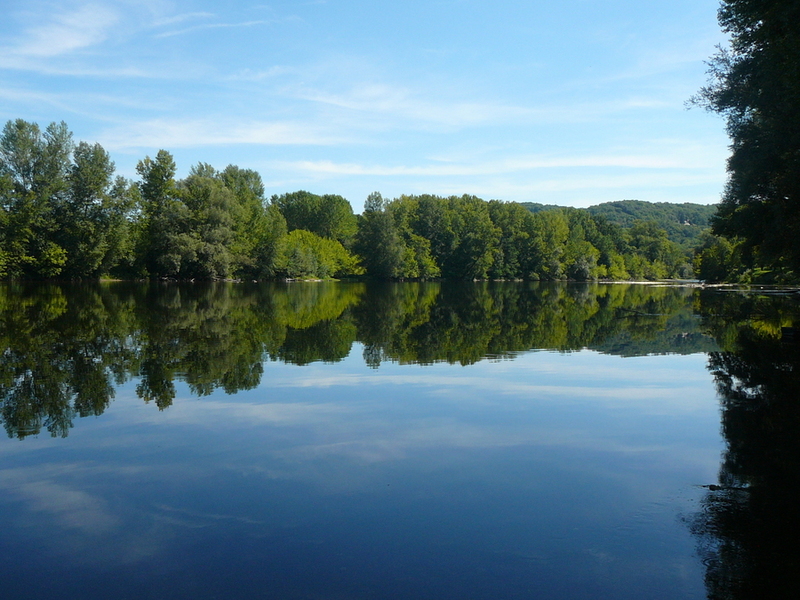 St Julien de Lampon, between the historic towns of Sarlat and Souillac, nestles in the lush wooded scenery of Perigord Noir, the loveliest part of Acquitaine threaded by the beautiful Dordogne whose banks are meadows, wooded hills, or dramatic sheer cliffs. 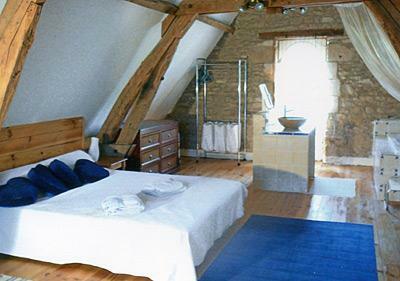 There are numerous historic chateux including Beynac, Fenelon (next door village), Castelnaud, de Montfort. 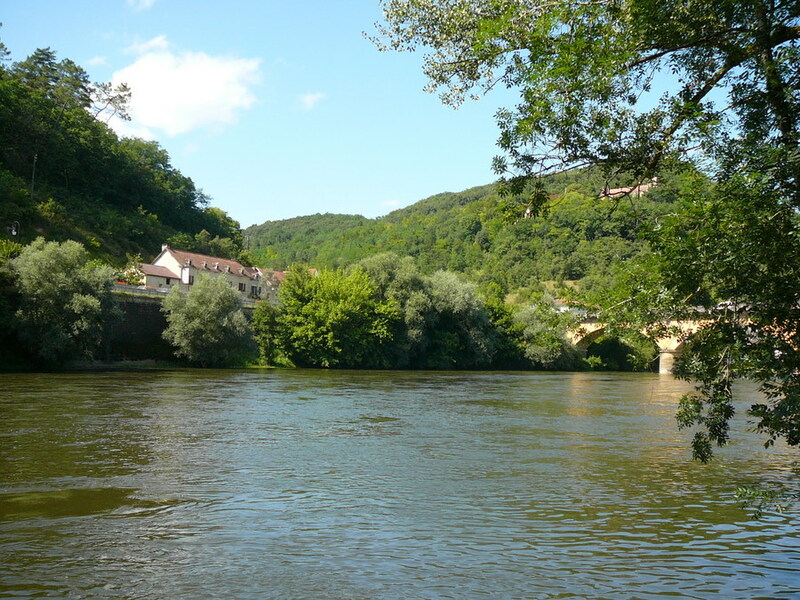 The world-famous prehistoric caves of Lascaux, Les Eyzies de Tayac etc. are a short drive away. The pilgrimage site of Rocamadour is about three-quarters drive away. 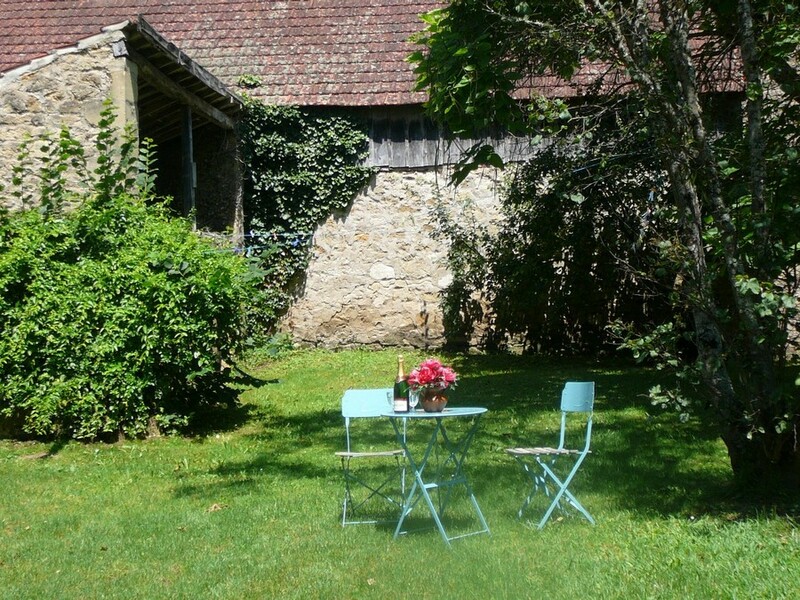 Garden lovers: 10 beautiful French gardens to visit, in easy reach. See our website for details. Cyclists: 35km of cycle track - plus lovely quiet lanes. (Cycle and canoe hire in the village). 2 cots (cribs) and occasional child bed available. 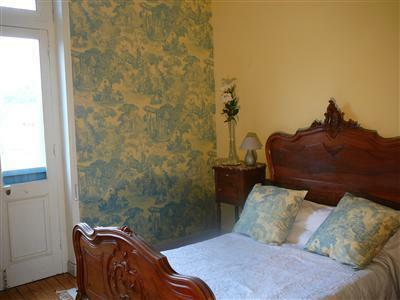 There are 3 double rooms, one room with 3 singles, and one with a bunk & a single. We can offer lower rates for smaller parties (6 or fewer) out of peak season. From March to October the weekly rental ranges from 25 to 39 credits. we had such a lovely time in La Manse, the walk to the bakers in the morning, the pastis in the bar in the square in the evening and the wonderful markets in both Sarlat and Souillac! 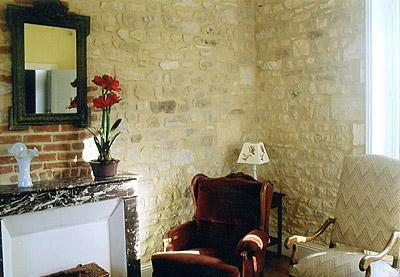 We just loved the area, it reminded us a bit of the Cotswolds with the beautiful mellow yellow bricks. We went to the caves at Lascaux, to Beygnac, La Roc and Domme and Castlenaud, and Rocadamour a few times, all stunning and very moving. And we feel we haven't really scratched the surface. 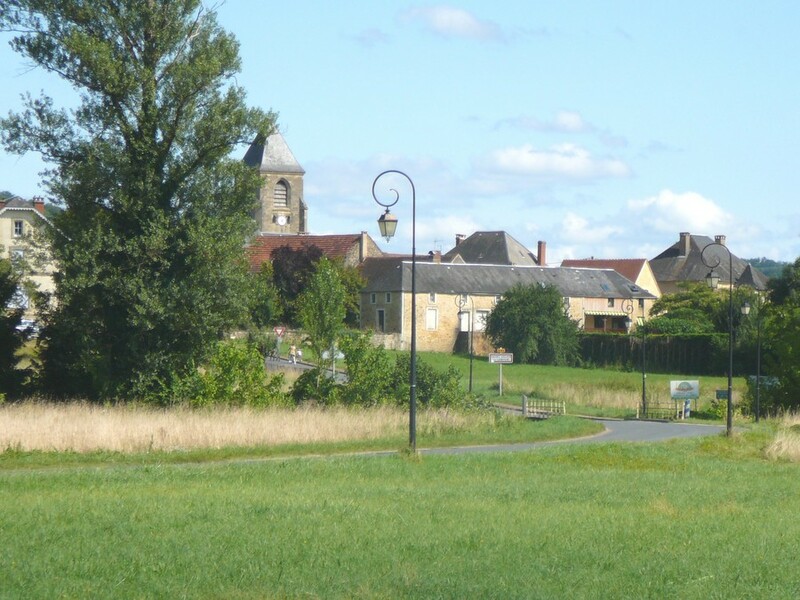 What a wealth of history and chateaux on your doorstep. We loved it, in spite of the weather, thank you! 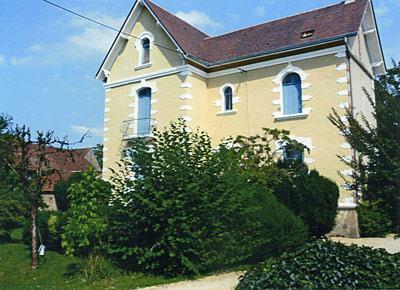 We had a wonderful week with American friends at this spacious villa at the edge of the Dordogne. 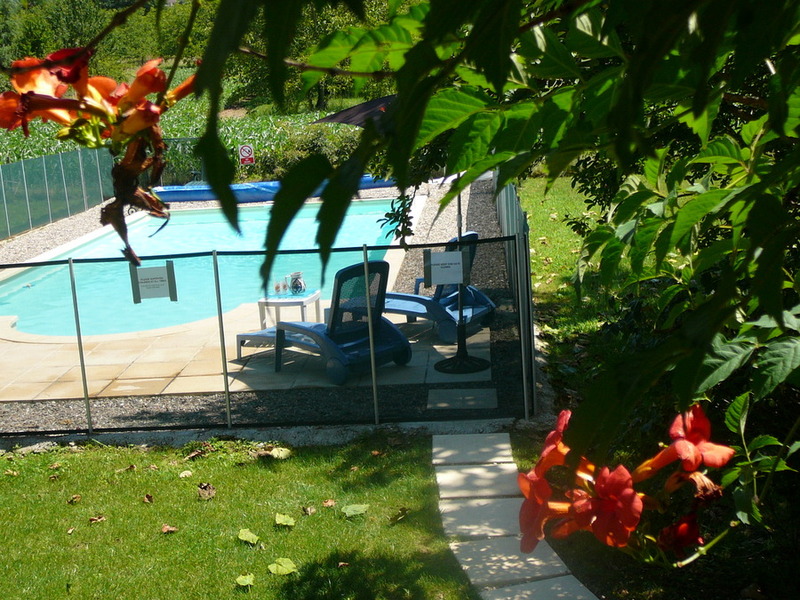 The villa is in an excellent position on the edge of an untouristy village but very convenient for all the charming and fascinating sites of the region, as well as fun activities such as canoeing. There are two delightful restaurants within walking distance, and the working boulangerie cries out for an early morning visit. 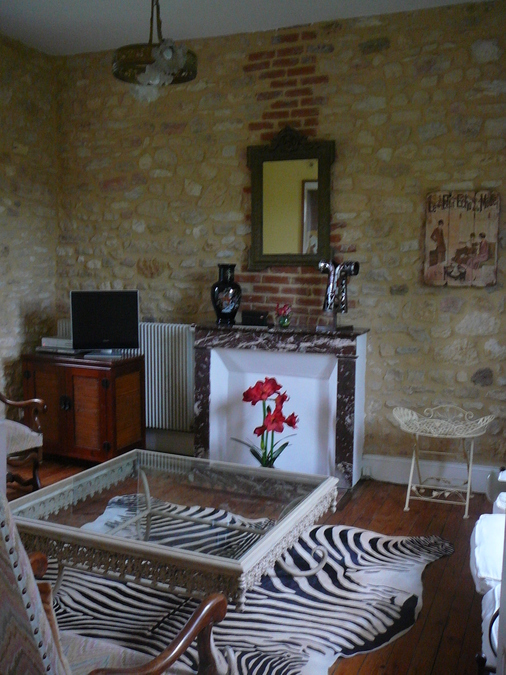 A fabulous grande maison 250m from the Dordogne River in a beautiful quiet, historic village.